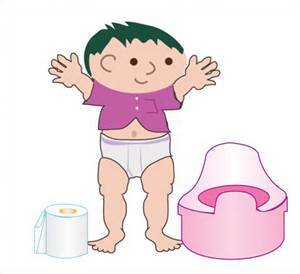 How do you know if your child is ready for potty training? How young is too young or how old is too old? This is a question we are often asked at Alpha’s Preschool Academy and Child Care Centre in Mississauga on a regular basis. As child care professional with quite a bit of experience, we can honestly say there is no definitive answer. Every child is amazingly unique and develops in their own time. Even if you parent your child in the exact same way at the same time, as in the case with twins, they still won’t be the same! At our daycare in Mississauga, we always work with our families to create a stress-free potty training routine to best suit the child and the care and love that is needed during this big transition. There are certain readiness signs to watch out for which we will highlight in this article. Your child should be able to walk steadily with confidence and co-ordination. Keep track of your child’s wet diapers and how often they are wet throughout the day. Observe how long your child can stay dry. If they are able to keep it dry for over 2 hours, that is a good sign that they are physically ready to start the potty training process. Also, ensure that your child has regular bowl movements with predicable times. If our daycare has taught us anything, it is definitely that behaviours are always changing with so many factors such as : age, environment, new care providers, mood etc. These are just general suggestions of signs to look for. Your child should be able to sit for up to 5 minutes continuously. Your child should be able to pull pants up and down on their own. If not, don’t hesitate to encourage your child to learn that skill whenever you have an opportunity to do so. Some kids don’t like to feel wet our soiled and will be uncomfortable. If that’s the case, then take advantage of that as an opportunity to start potty training! If your child takes an interest in using the washroom, encourage them to do so. If your child is attending daycare and they show interest with the other children using the toilet, that is also a good sign. If they are always asserting their independence this is a great motivator to encourage potty training! Your child needs to be able to communicate with you to let you know that they need to use the toilet. If your child is able to follow simple directions and is talking in a few words and phrases, they are ready to learn the words to identify “pee” or “poo” which will help with the potty training process. If your child resists using the toilet and seems to show no interest in the potty training process, this is not something that can be forced. You want the process to be successful and if you start with resistance, the process will not go well. Listen to your child and look for the key physical, behavioural and cognitive signs indicated above before you start the potty training process. At Alpha’s Discovery Kids Preschool and Daycare in Mississauga, we watch for the signs and keep open communication with families about the child’s readiness to use the toilet. We work with our families to ensure the child’s success.